Our History & Founder - Grigg Lewis Foundation, Inc. The Grigg Lewis Foundation was established in 1968 through a gift by Henrietta Grigg Lewis. The Foundation has maintained an extremely low-profile while having an impact of extraordinary magnitude throughout Eastern Niagara County and beyond. This reserved approach to philanthropic efforts is due, in great part, to the modesty and whole-hearted charity of the foundation’s founder and primary benefactor, Henrietta Grigg Lewis. Mrs. Lewis firmly believed gifts of charity were not to receive recognition, but instead to help those in need. Many referred to Mrs. Lewis as a “true lady.” She was well known for her modesty and her generous spirit. She was very active in the community by serving on various boards and founding the Lockport Junior Service League. She served as a trustee of Wyndham Lawn Home for Children, created a scholarship program through the First Presbyterian Church, and was instrumental in restoring the interior of the Kenan House. Mrs. Lewis received a number of awards in her lifetime, including the Paul Harris Fellowship, given by the Lockport Rotary Club. A long-time volunteer and supporter of various non-profits, Mrs. Lewis was intimately involved with many local institutions during her lifetime and made anonymous donations far too numerous to mention. Her generous personal efforts have been complemented by the actions of the Foundation. Since her passing on May 16, 2003, the Foundation carries on her tremendous legacy through its far-reaching support of charitable entities of all shapes, sizes and functions. The Grigg Lewis Foundation is proud to have affected thousands of people’s lives and to have contributed to making our regional community a better place to live, work and play for more than 35 years….all through the power of philanthropy and by following the example set forth by Mrs. Lewis. William B. May – “Ben”, first became acquainted with Henrietta Grigg-Lewis when he joined her husband’s law firm in 1958. Shortly thereafter, Mr. May began handling Mrs. Lewis’ legal matters which included the preparation of her Will and the management of her gifting. 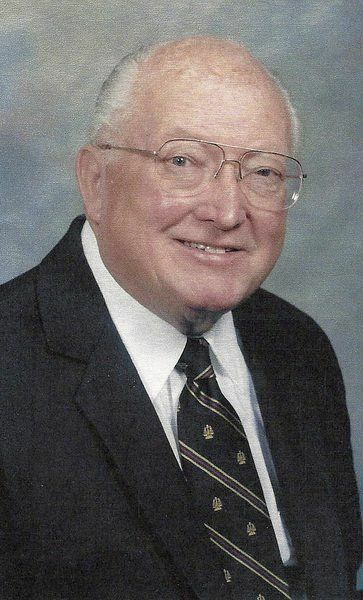 He worked extensively on the development of the Grigg Lewis Foundation, and served as its Executive Director, Secretary, and Finance Committee Chairman. As Executive Director of the Grigg Lewis Foundation, Mr. May stayed true to Mrs. Lewis’ wishes throughout the years, continuing to focus on the charities that were near and dear to her heart. He considered the foundation to be a living memorial to Mrs. Lewis and always took great pride in assisting in the administration. He helped the Foundation to become a major factor in the Lockport and Eastern Niagara County charitable community, and it will continue to affect programming of charities for years to come. Outside of the Foundation Mr. May was an active member of the First Presbyterian Church of Lockport. 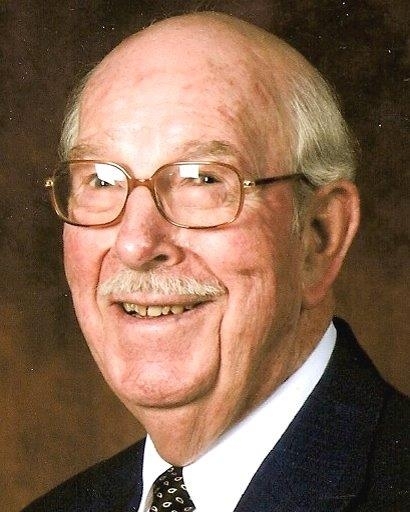 He served on the board of Wyndham Lawn Home for Children, Presbyterian Senior Care of WNY, Lockport Savings Bank, and the Niagara County Historical Society and was a Past President of the Rotary Club of Lockport, Eastern Niagara Chamber of Commerce, and the Kenan Center. Mr. May was a dedicated husband, father and grandfather and a great friend to so many. We all knew him as Ben, the quiet, compassionate, thinker who knew how to truly listen, and who loved Lockport to his core. His wisdom, humor and friendship will be forever missed. Mr. Sinclair was a founding director of the Grigg Lewis Foundation Inc. in 1968. Norman began his career in 1942 with the Lockport Savings Bank, then known as Mechanics Savings Bank, while still in High School. In 1974, he was elected President and Chief Executive and served in that role until 1989 when he was elected Chairman of the Board of Trustees. He retired in 1994 after contributing 52 years. He helped form the Niagara County Community College Foundation in 1987. There he volunteered for many different roles and served as Chairman for over 16-years. He was very involved in the Lockport community. He served as Chairman of the Board Presbyterian Homes of WNY, Trustee with the Lockport Public Library, The YWCA, First Presbyterian Church, Kenan Center, Directorship with the Buffalo Branch of the Federal Reserve Bank of NY and the Institutional Investors Mutual Funds MSB Fund, Cornell Cooperative – 4H., Lockport Town & Country Club Board, and the Lockport Rotary Club. Mr. Sinclair will always be remembered for his philanthropy, volunteerism and his leadership. His contributions to the community and the Grigg Lewis Foundation are immeasurable. The wisdom he shared will be treasured by us all and his sense of humor is greatly missed. Ray Clair was Mrs. Lewis’ personal accountant, and is still highly regarded by all at the Foundation . His intellect, aptitude and consistent trusted guidance made him a valuable board member. It was his opinion that the Grigg Trust transition to a Private Foundation in order to further carry out our founder’s legacy. Mr. Clair was instrumental in resolving Mrs. Lewis’ estate matters. His impeccable record keeping skills, understanding of accounting practices and overall integrity have proved to be a great asset to the continuation of the Foundation. © 2018 Grigg Lewis Foundation, Inc. Site build by Jenna Tillotson.